18ct yellow gold beaded infinity necklace is 62 inches long with 2 ornate 18ct handcrafted yellow gold beads. 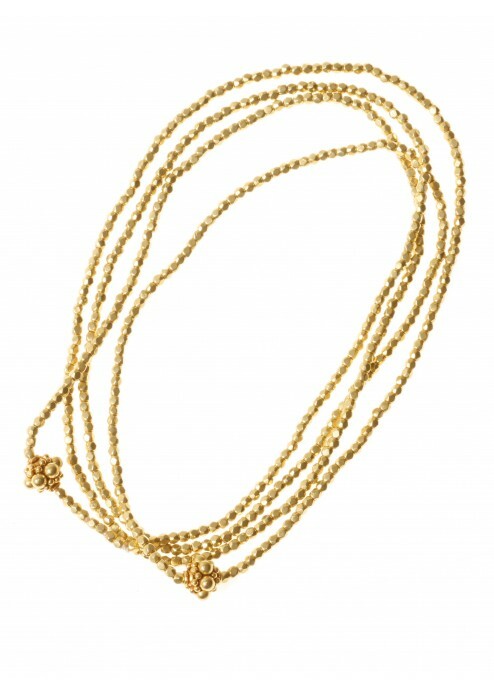 This is a gorgeous infinity necklace with 18ct yellow gold beads and 18ct yellow gold ornate handcrafted beads. 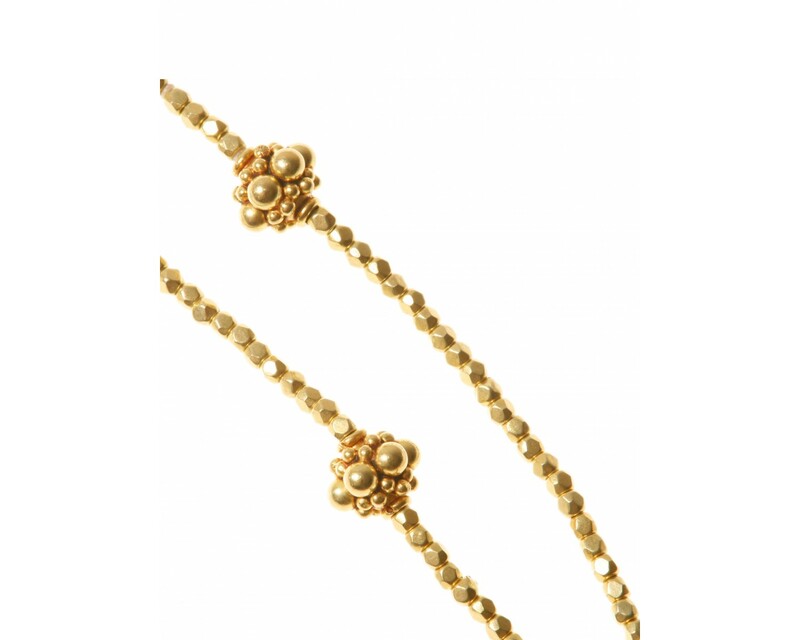 It is long enough to wear doubled up and it's golden glow is truly beautiful. 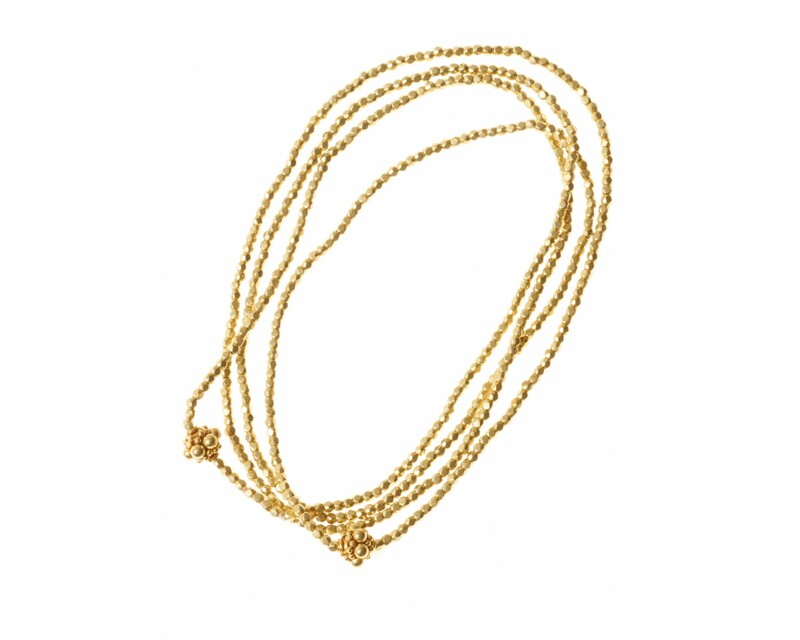 This necklace is available in 2 other lengths and are priced at £1,350 for a 31 inches version or £925 for an 18 inches version. 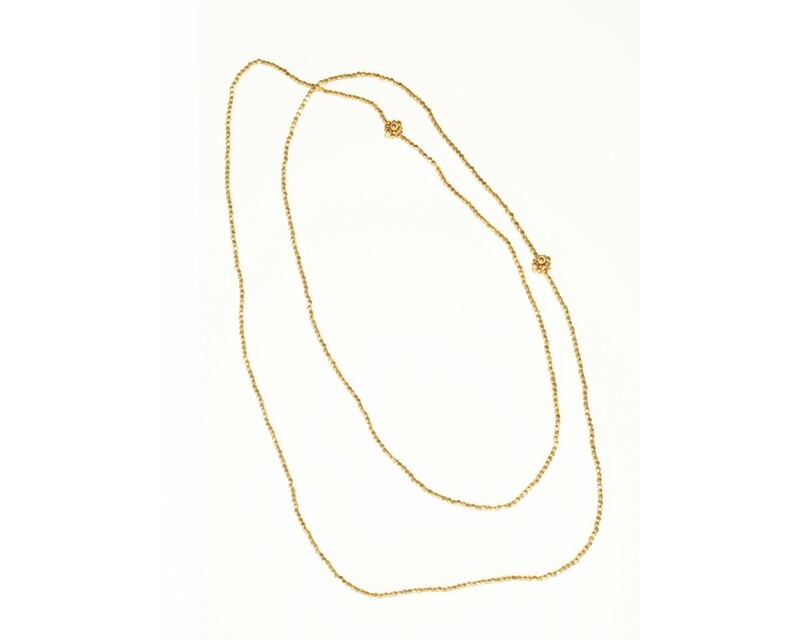 The shorter lengths have a clasp. Please be aware that this item is a bespoke piece and will take a minimum of 4 weeks to be delivered depending on stock levels. To check this please contact info@deroemer.com for more information.